"&quot;An uneducated man may rob a rail car. An educated man can steal the railway.&quot;"
Nowhere Island University has not been tagged yet. 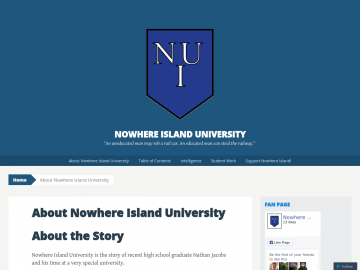 Help others find Nowhere Island University by tagging it! Nowhere Island University has not been reviewed yet. Nowhere Island University has not been recommended yet.